Just prior to the 2015 IPCPR Trade Show, Espinosa Cigars announced a return of the Murcielago line. The Murcielago (which is Spanish for “bat”) is a brand that was originally released in 2009 by EO Brands, the partnership between Erik Espinosa and Eddie Ortega. In 2012, Espinosa and Ortega dissolved the EO Brands and divided the company’s brands between the two. One of the brands that went to Espinosa was the Murcielago. When the brand was a part of EO Brands, it was made at the My Father Cigars factory. Following the split, the original Murcielago blend was not made available to Espinosa Cigars. As a result, the company had to embark on a reverse engineering process to recreate the blend. After three years, Espinosa Cigars finally felt they had a cigar that captured the essence of the original and thus the Murcielago was re-released. Recently I’ve had an opportunity to smoke the 2015 edition of the Murcielago in the Noir (Robusto) size. While it’s tough to do an apples to apples comparison to the original, what I can say is that Espinosa Cigars created a winner as this is one excellent cigar. In a press release, Erik Espinosa discussed the process of the reverse engineering. 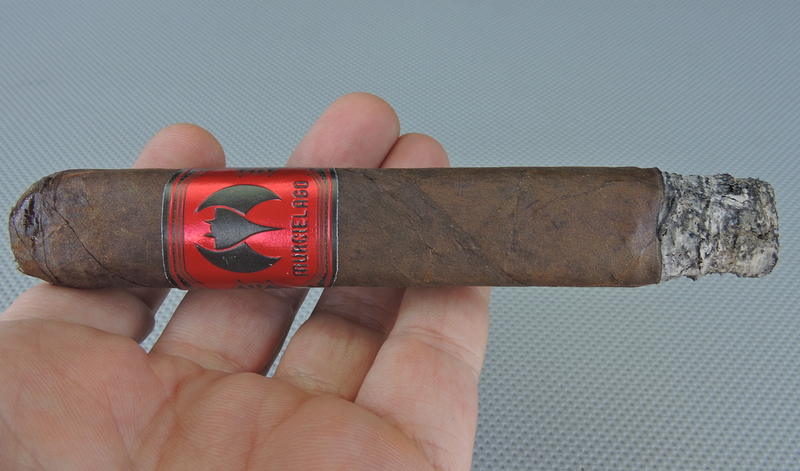 Without further ado, let’s break down the Espinosa Murcielago Noir and see what this cigar brings to the table. 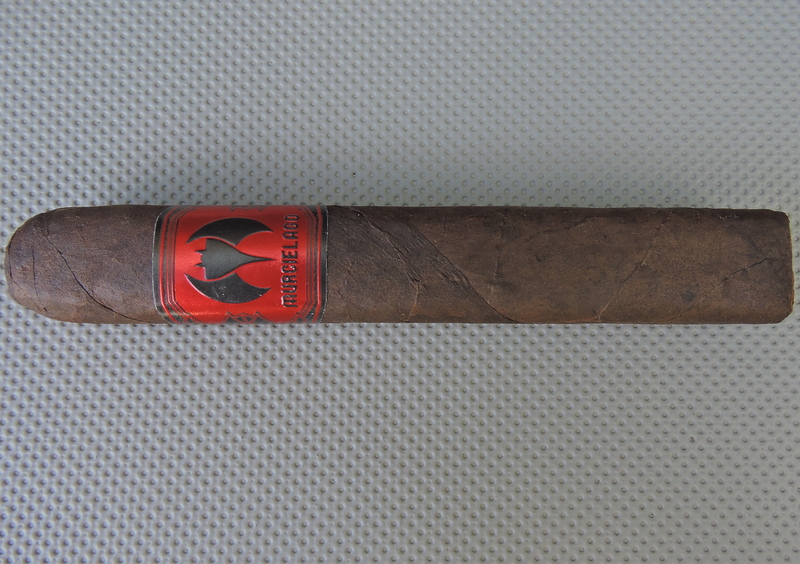 When the Murcielago was first released, the cigar incorporated a dark Mexican wrapper. This was done at a time when it wasn’t hip to say you were using Mexican wrapper. Once again the Mexican tobacco is used for the wrapper. There are three sizes of Murcielago. These are streamlined from five sizes – which were offered on the original EO Brands version of the Murcielago. These are also three all-new sizes that are being introduced. Each of the three sizes is box-pressed. The three sizes are packaged in 20 count boxes. The Mexican wrapper of the Murcielago Noir has dark in color dark espresso color. Upon closer examination, there is a slight marbling on the surface. The wrapper itself has a light coat of oil on it. There are some visible wrapper seams, but any visible veins were on the thin side. The box press leans toward being more of a Cuban press as it is slightly rounded. I also found this box-press to be firm with no soft spots. As a part of the re-release of the Espinosa Murcielago, new packaging and banding was introduced. The new band has a metallic red background with black font. On the center of the band is a bat (which was slightly re-designed from the original cigar). Below the bat is the text “MURCIELAGO”. The remainder of the band has some black designs on the left and right side. In addition to a new band, the Murcielago received new and sleeker box. Prior to lighting up the Espinosa Murcielago Noir, I went with a straight cut to remove the cap. Once the cap was removed, I moved on to the pre-light draw. The cold draw delivered notes of mocha, earth, and a slight amount of cherry sweetness. Overall I considered this to be an excellent pre-light draw experience. At this point I was ready to light up the Murcielago Noir and see what the smoking phase would have in store. The Murcielago Noir started out with a mix of earth, coffee, cherry, and some subtle white pepper notes. The earth and coffee notes quickly moved to the forefront. The cherry notes settled as a close secondary note. The white pepper notes were more distant. Meanwhile I found quite a bit going on with the retro-hale as I detected notes of cedar, white pepper, and some of the cherry sweetness through the nasal passages. During the first third of the Murcielago Noir, the coffee and earth notes alternated in intensity with the coffee notes having a slight edge. The cherry remained a close secondary note, but was also a little more prominent on the after-draw. Meanwhile a musty component surfaced in the background. I found this musty note wasn’t overpowering and actually worked very nicely with the flavor profile. At the same time, the white pepper remained in the background. When the Murcielago Noir moved into the second third, I still found the coffee and earth notes remained primary with both notes even in intensity. The cherry and musty notes diminished further into the background. By the midway point of the Murcielago Noir, I found the pepper notes started to increase. By the last third, I found the earth notes had a slight edge over the coffee notes in the forefront. The pepper notes closed in on the forefront, but didn’t overtake the earth and coffee. Meanwhile the cherry and musty notes were present, but quite distant. This is the way the cigar experience of the Murcielago Noir came to a close. The resulting nub was firm to the touch and cool in temperature. Overall I found the Murcielago Noir to be a well-constructed cigar and this reflected nicely on the burn and draw. The burn maintained a straight path from start to finish. There was a slight amount of jaggedness to the burn line, but I didn’t find the cigar to warrant much in the way of extra touch-ups. The resulting ash had a salt and pepper color. The ash wasn’t overly tight, but it was not a loose, flaky ash either. Meanwhile, the burn rate and burn temperature were both ideal. The draw to the Murcielago Noir was on the open side. This was a low maintenance draw and it was easy to derive flavors from. The Murcielago Noir is a cigar that leans on the bolder side. From a strength perspective, I assessed the cigar as being medium to full in strength. The strength did gradually increase and by the last third, i found this cigar to be performing at full strength. Meanwhile the flavors were quite robust – especially with the retro-hale factored in. I assessed the Murcielago Noir as full-bodied out of the gate – with the body increasing slightly throughout the smoking experience. When it came to strength versus body, I gave the edge to the body. One thing that I could not do is determine how close the 2015 edition of the Murcielago came to the original 2009 edition. 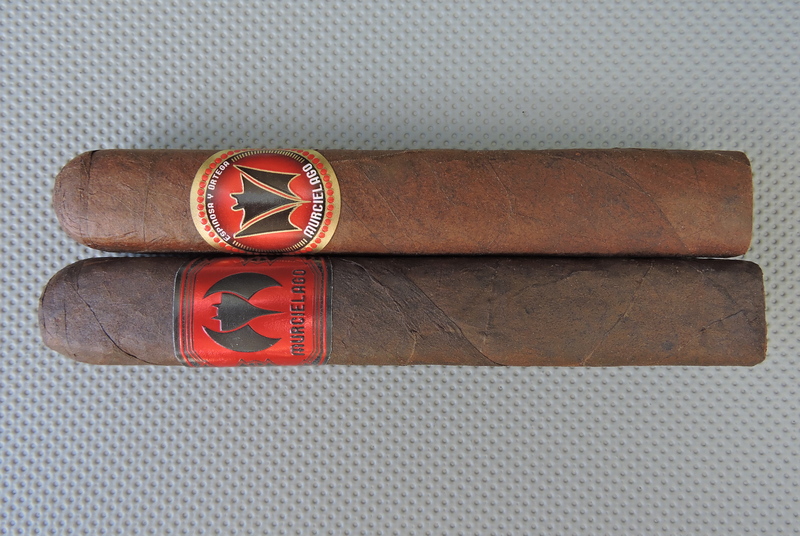 While I did have a 2009 edition on-hand, this was a cigar that had much more age on it than the newer version – therefore, I felt comparing one cigar with more age on it to another with less age would not be fair. On top of it, the vitolas were not exactly the same. As a result, this was not an apples to apples comparison. What I can say is that the 2015 edition of the Murcielago Noir is a very good cigar – and it’s one that has aged nicely since being released last summer. Given that this is a bolder smoke, this is a cigar I would recommend to a more seasoned cigar enthusiast. As for myself, this is a cigar I would smoke again and it’s worthy of a box purchase. Another reason why comparing the two years of the Murcielago wouldn’t work is the original was made at the My Father factory. While Erik said he tried to match the blend as close as he could, I’m sure that’s just the primings of the blend stats. The original used a San Andres binder as well and My Father grown fillers…I’m sure the ’15 version does not. Either way I think both are quite tasty SA smokes.